Georgia Health Partners, LLC is a private community based organization that provides a wide range of child and family services. The agency was established in 2009 and has maintained CARF accreditation. GHP meets all state and federal requirements and follows HIPPA standards and protocols. Evidenced-based curricular and treatment strategies are used. Each individual is assisted to develop a joint action plan that recognizes their strengths and needs. Progress is facilitated through direct services as well as linkages with community resources. Services are responsive and respectful of family values. Client information is safely maintained and confidentiality is protected. Because we are both a Medicaid provider with CMO’s (Wellcare, Caresource, Peachstate, and Amerigroup) as well as a statewide Support Services Provider for DFCS, we are able to meet multiple needs of families and especially co-occurring issues such as substance abuse and mental health needs. Services can be low-level, intermediate or intensive and be provided in the home, school, community or at our agency location. We specialize in working with distressed families, caregivers in need of parenting skills training, families impacted by addictions, victims of sexual exploitation and victims of neglect, abuse and domestic violence. GHP partners with the Department of Family and Children Services (DFCS), the Office of Juvenile Justice (DJJ) to prioritize services for families that they refer. We also work collaboratively with case managers, school counselors, probation officers, daycare staff, parents, foster parents and relative caregivers. 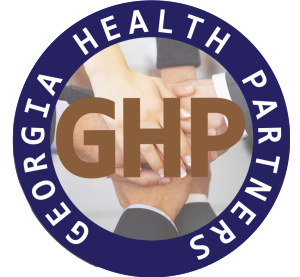 Georgia Health Partners receives referrals from a host of community and state organizations, such as Department of Children and Family Services (DFCS), Department of Juvenile Justice (DJJ), community-based organizations, public schools, and other mental health agencies. In addition, we receive referrals from parents and family members who are concerned for the mental and behavioral state of their loved one. Georgia Health Partners LLC believes that children as well as adults should have a home that provides them with a stable environment conducive to their needs. A home that encourages communication amongst members, overcomes challenges and barriers of society, enabling them to become successful and self-sufficient individuals. It is our belief that each person should be familiar with their mental health needs and understand the steps necessary to break any and all barriers to treatment. Our mission is to provide a system of complete care that meets the needs of children, adolescents, adults and families to help them lead fuller and productive lives in society. This includes school, home, community and work. At Georgia Health Partners, we spend our time and resources providing the best counseling and treatment services to the children, adolescents, and families we service. In the event of a crisis we are available 24hrs a day, 7 days a week, & 365 days a year.